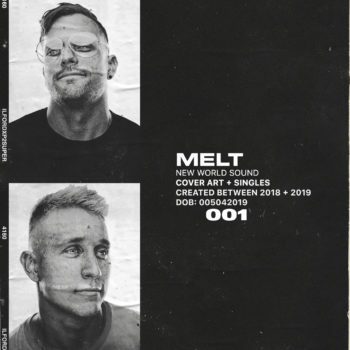 Australian electronic duo and brothers, New World Sound, are bringing us the heat from their hometown of the Gold Coast with their new single “Melt” out today (via Big Beat Records.) Listen HERE! Coupling their unique and eclectic mix of live instruments and electronic elements, the boys are back with an evolved sound with psychedelic influence. Bursting onto the scene in 2013 with their unique smash hit record ‘Flute’ (which has over 40M streams worldwide), the brothers were on all the biggest radio stations across Europe, America and their native Australia. Continuing with their eclectic sound, they followed up with Beatport Chart Topping ‘The Buzz’ with Timmy Trumpet. While playing some of the biggest festivals and clubs around the world including the infamous Tomorrowworld, Electric Zoo and EDC, they’ve also gained huge support on their other releases such as ‘Peak’, in which Tiesto supported for two consecutive weeks on his Club Life show. With hundreds of millions of streams and counting, live sets in the works and more releases coming on Big Beat Records, it’s safe to say the boys have their feet to the floor in 2019!